Jaxan Kaluski joined the T-Birds in a mid-season acquisition from the Moose Jaw Warriors. Last season, he had two goals and one assists for three points in 22 games for Moose Jaw. 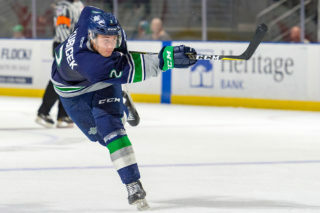 After being acquired by the T-Birds, Kaluski had one goal and one assist for two points in 24 games played. From Lloydminster, Alberta, he also appeared in five postseason games for the T-Birds. Jaxan took some time to sit down with us and answer some questions about his summer and the coming season. 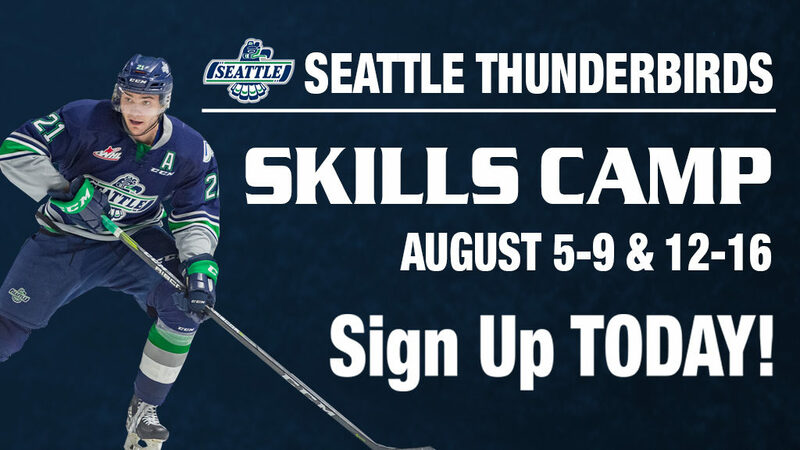 Seattle Thunderbirds: Thanks for joining us Jaxan. First off, how’s your summer been? Jaxan Kaluski: Summer has been great so far. I have been training and trying to enjoy some of the nice weather we have had so far. ST: What aspects of your game are you working to improve in the offseason? JK: I’ve put a lot of focus into goal scoring this off season hoping to increase that part of my game this upcoming season. ST: What are your expectations for the team this coming season? JK: After losing out early last season I think we will be super driven this year to win some more games and have a better playoff push. ST: When you first arrived with the T-Birds, what is the process like of getting to know your teammates and the rest of the organization? JK: It was a lot to take in at first, but I was super excited about the opportunity to play for Seattle. 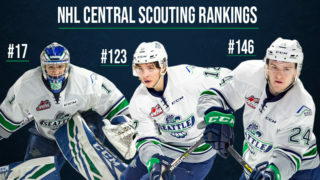 My roommate Turner Ottenbreit was really helpful in showing me around and mixing me in lots with all the guys so it was an easy transition from Moose Jaw. 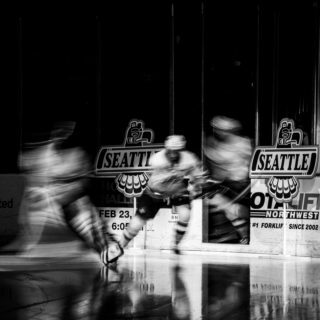 ST: Last season you got your first taste of playoff hockey with the first round series against Everett. What is it going to take for the team to advance farther than in the playoffs? JK: I think we were in every game last year and things could have went differently for us if we would have got a couple bounces to go our way. So, coming this year we know what it’s going to take to make those bounces go our way. Just making sure we play Thunderbird hockey. ST: Having played in both the Eastern Conference and Western Conference last season, would you say there is a difference in the style of play between the conference? Is one faster, or more physical or more defensive? JK: I would say that the Eastern Conference was more skilled and slowed down pace compared to the Western Conference. Playing in the U.S division was a lot more physical fast paced type of hockey. ST: Your hometown of Lloydminster has produced numerous NHL players. What was it like growing up there and was there a player from your town that you looked up to? JK: It’s been awesome growing up in Lloydminster. It’s the kind of town where you almost know everyone, and you know that everyone wants to best for you. I liked to look up to Kale Clague. He was always a special talent and he has shown lots of people in Lloyd what it takes to play at the highest level possible. ST: Lloydminster has a unique location right along the provincial border between Alberta and Saskatchewan. Do you identify as being from Alberta, Saskatchewan, or both? JK: I grew up on the Alberta side, but I spend lots of time on both obviously, so I would say that I identify myself as being from both. ST: What are your hobbies outside of hockey? JK: I like to golf and fish in my spare time. ST: Who on the team is a must follow on social media? JK: Blake Bargar for sure. ST: That’s all the time we have form today. Thanks for joining us Jaxan! Seattle Thunderbirds Public and Media Relations Intern Cody Levy conducted the Q&A with Jaxan Kaluski. 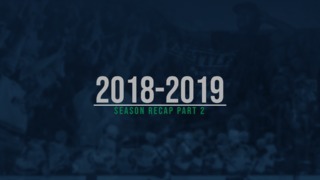 The team will be posting Q&A’s during the offseason with returning T-Birds players.